Despite protests from my wife, I am once again clean shaven and baby faced for the month of November. She understands the Movember is once again upon us and I will be attempting to grow a mustache to raise funds for men's health. 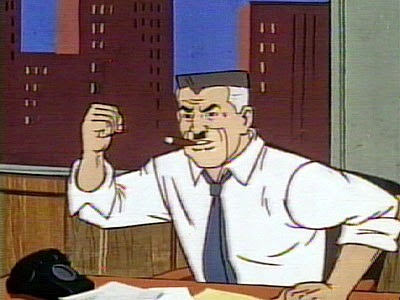 As I reflected upon my poor attempt to grow a mustache, I thought it would be worth our time to consider the top five mustaches in comics. If you are so inclined and would like to support my Movember campaign you can donate here. 5. J. Jonah Jameson - style: toothbrush - I struggled where to put J.J.J. 's mustache on this list. Anyone who rocks the Hitler mustache with the confidence that this newspaper magnate does is commendable. It is also always fun to see him give Spider-man the business and rule The Bugle with an iron fist. In earlier versions of the list I had him as high as number 1, but upon further reflection feel that he should be happy that he made the list and that he will remain relevant longer than the medium that built his empire. 4. 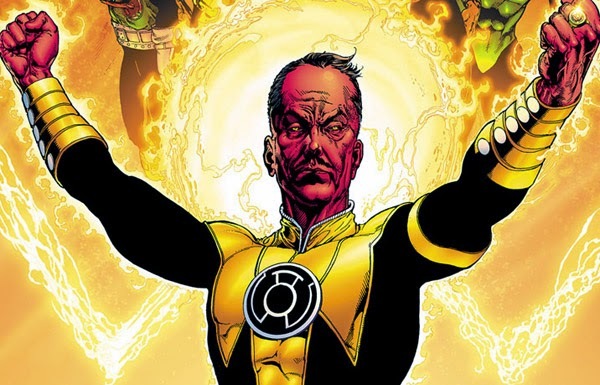 Sinestro - style: classic villain - How could the Green Lantern corps not known that Sinestro was evil. Look at that mustache! I applaud his creators John Broome and Gil Kane for embracing the villain stereotype so completely. It's as if someone plucked his head from an old timey black and white movie and pasted it on a yellow body suit. Such a great visual statement for one of the top villains of all-time. Would have been higher on the list, but it does feed into the negative stereotypes of mustachioed individuals. 3. 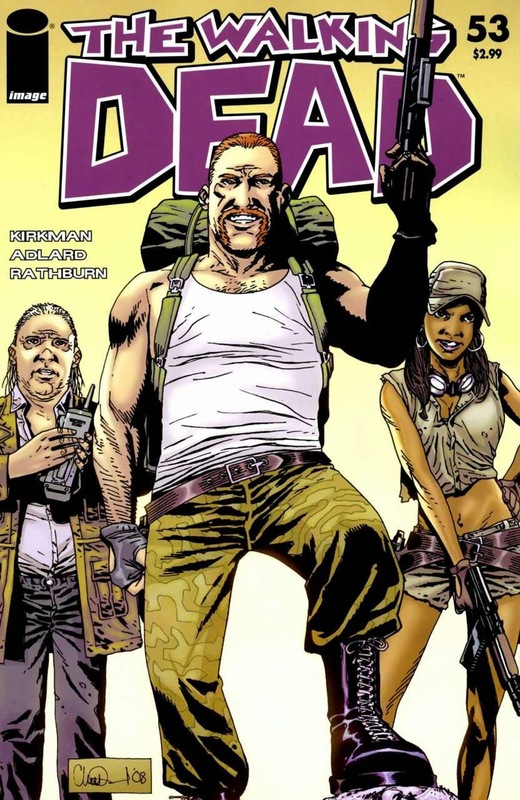 Abraham - style: handlebar - Abraham emerged as one of the stronger characters to every join Rick and the gang. While he had his trust issues and his own ideas about what was best for the group, he was a good dude and the mustache made him more likable. The handlebar mustache screams that he is a guys' guy, but that he isn't to be crossed. I think this is best epitomized when, after some serious hesitation, he reluctantly saved Rick's life. With no Abraham, there is no Rick, and thus he is granted a spot on this list. 2. Drake Sinclair - style: dapper - Drake might as well be the spokesperson for Movember. Look at the smooth bowler hat, that well groomed stache and his impeccable fashion sense. While he may wrestle with his inner demons, Drake would have no problem fitting in with the local hipsters purchasing organic quinoa from the bulk bins at the local food co-op. 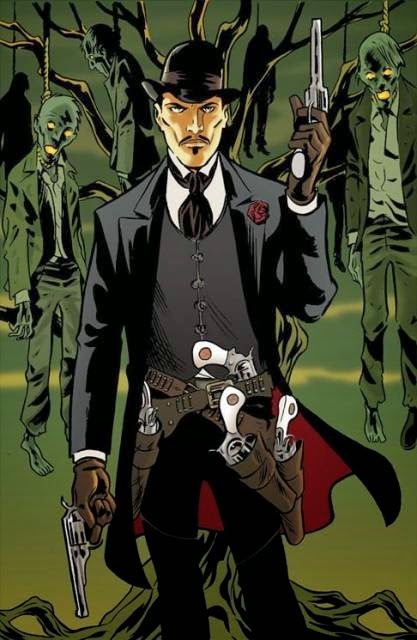 Appearances are quite deceptive though, as Drake is no stranger to wielding some truly devastating guns. Definitely worthy of finishing runner-up. 1. Axe Cop - style: cop - Of all of the characters in this list only one can boast that he has had his mustache since birth. Thanks to an injection of mustache DNA, Axe Cop has always been hip to the Movember campaign and has even had rumors that his life depends on his precious push broom. 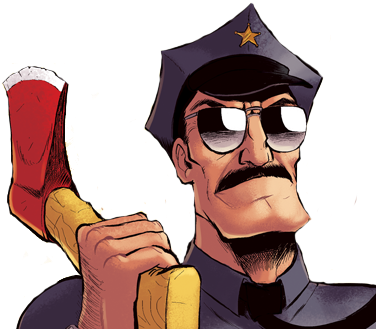 There is no question that Axe Cop would not have the impact he has had on the comic scene without his iconic mustache. I feel that I should salute his mustache each time I see it and have a strange craving for apple pie and Lee Greenwood.